provides stability to the soil of a landscape bed. Soil Health– Pine Straw decomposes relatively quickly, providing nitrogen richnutrients to plant life. 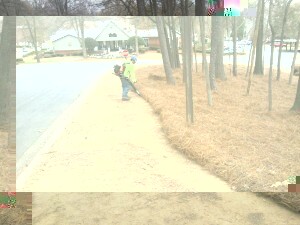 Weed Suppression – The stringy characteristics of Pine Straw act as a great weed barrier when applied at a good depth. Visually Appealing – The essence of a natural landscape look, with a rich golden hue.